Servicing Queensland and northern NSW families Lady Cilento Children’s Hospital is the major specialist children’s hospital in Queensland providing care to the our sickest and most critically injured children requiring highly specialised care. The state of the art facility opened in late 2014 and provides 359 beds, 48 emergency bays, 14 operating theatres and well-structured networks of support for parents, families and carers. Lady Cilento Children’s Hospital sought to utilise digital technology to enhance the visitor experience and provide a constant communication channel for important information. Due to the nature of the hospital environment, ensuring that visitors feel informed is critical in reducing stress and allowing people to move to where they need to go as efficiently as possible. 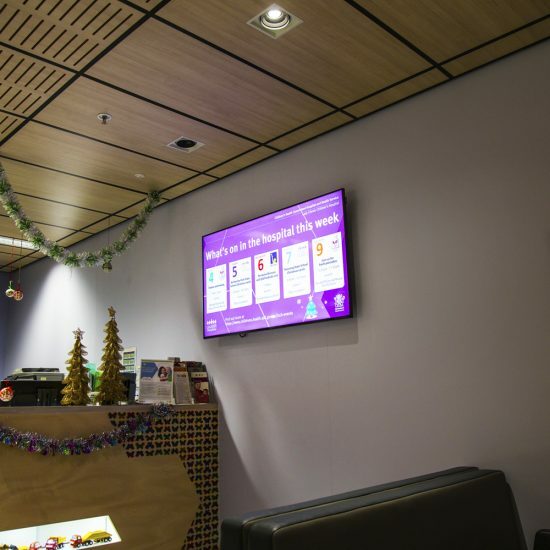 CV Media & Signage supplied and installed over 25 digital screens which seamlessly integrated into the hospital environment. With built in media players and a cloud based content management system, the solution allows the hospital to coordinate and control their own messages. All changes and updates can be made in real time, allowing for flexibility and accessibility across all the screens within the hospital. 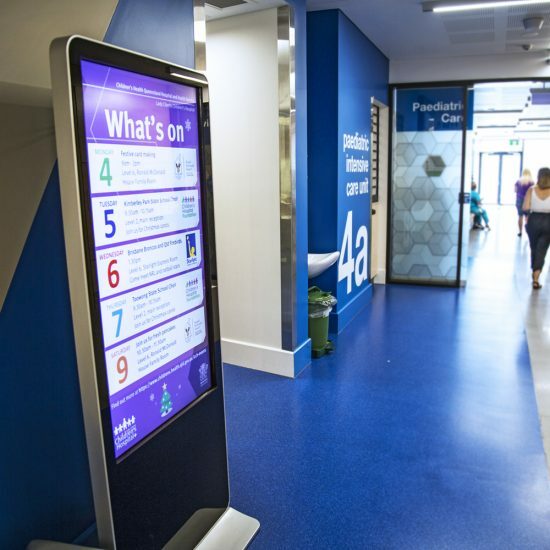 The digital screens are utilised to provide important information touch points and wayfinding messages. 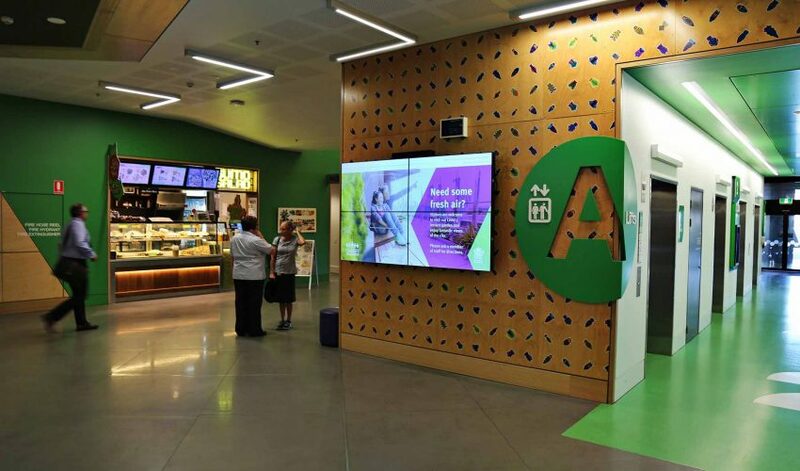 Catering to different spaces and different screen sizes, the team set up a four-screen video wall through the main transiting area, ensuring maximum impact and engagement within the thoroughfare.